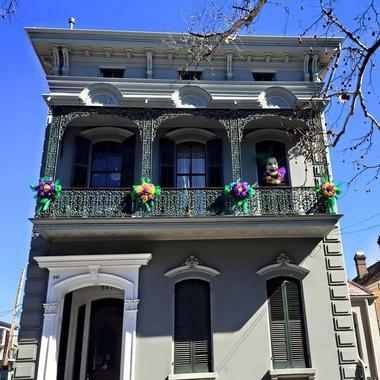 If you've decided to plan a romantic weekend trip to New Orleans, there many unique inns and bed & breakfasts to choose from on your getaway. Many are located in the heart of the city and have charming courtyards, balconies, suites, cottages or apartments for added romance. The Canal Street Inn features original architecture and a great location along Canal Street, giving guests easy access to all the local attractions. Every guestroom has a unique décor and original artwork such as posters, vintage costumes, exotic textiles, drawings and paintings. Each of the ten rooms has modern conveniences like air conditioning, hair dryers, alarm clocks, irons with ironing boards, voice mail on the telephone, plasma cable TVs and wireless Internet. The rooms each have bath robes, bottled water and private baths as well. In addition to the rooms and suites, there is a studio apartment available for long or short-term rentals. The 1912 building has gardens on every side with beautiful views of ancient live oak trees and a sunken patio. The Continental Plus breakfast is served in the main dining room with an early-bird snack available as an alternative. There are snacks, espresso and organic coffee available all day long. There are also refreshment centers both upstairs and downstairs, giving guests access to hot chocolate, tea, coffee, a microwave, a refrigerator and an ice machine. 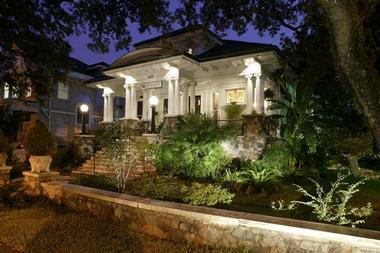 Magnolia Mansion is a boutique hotel and bed and breakfast combined into the perfect getaway. There are nine guest rooms, each of which has its own theme and private bath. The themes are all romantic, featuring black-out curtains, hardwood floors and Austrian Sheers. The rooms also have refrigerators, cable TVs and VCRs, irons with ironing boards, hair dryers, bathrobes, makeup mirrors, alarm clocks with radios and plush bed coverings. If you prefer, some rooms also have contemporary themes. Some rooms have large 12-foot windows, wrought-iron canopy beds, sleigh beds, Jacuzzi tubs, small kitchenettes and more. The historic building is surrounded by oak trees, courtyards and gorgeous grounds that guests can enjoy for an afternoon or evening of romance. Breakfast is served each morning, featuring coffee, tea, fresh fruit, orange juice, wheat bread, bagels, pastries and cereals. 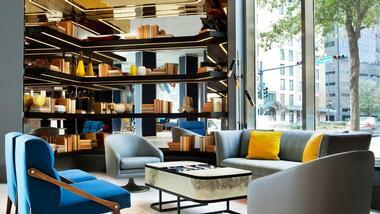 Le Méridien New Orleans is a luxury hotel located in a 23-story modern high-rise building in New Orleans’ Central Business District. The hotel was completed in 1984 for the Louisiana World Exposition under the name Holiday Inn Crowne Plaza. The modern, sophisticated rooms and suites have comfortable mattresses, desks, free Wi-Fi, 55-inch flat-screen TVs, and mini-fridges. Suites add living rooms, and upgraded suites have wonderful views of the river or the city. Guests enjoy a rooftop swimming pool, a fitness center, the chic LMNO restaurant serving Cajun and Creole food, and a popular lobby coffee shop and cocktail bar. The hotel business center offers more than 20,000 square feet of meeting space. 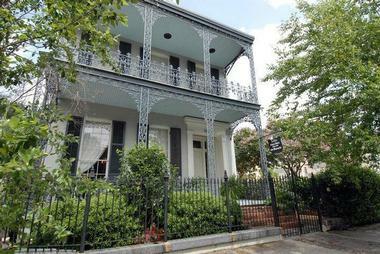 The Lanaux Mansion is located in an 1879 Victorian Mansion within the French Quarter. 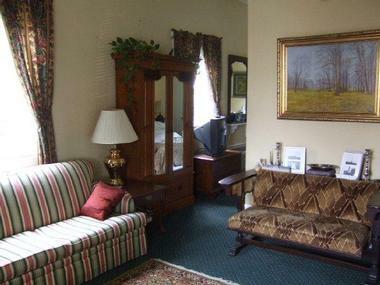 The guest rooms have mementos, books, art and furniture from Charles Andrew Johnson, the original owner of the mansion. There are several accommodation options. The Enchanted Cottage gives you a private cottage featuring two sitting areas, a large kitchenette, a private patio and a queen bed. The Lanaux Suite has 14-foot ceilings, a queen bed, a sleigh daybed and a sitting area. It shares a balcony with the Johnson Suite, which also has a large kitchenette, eating area and sitting area. The Weiland Room has its own sitting area, fireplace and 14-foot ceilings. Other amenities include alarm clocks, CD players, air conditioning, irons, hair dryers, TVs, private baths, wireless Internet, water coolers, writing desks and more. 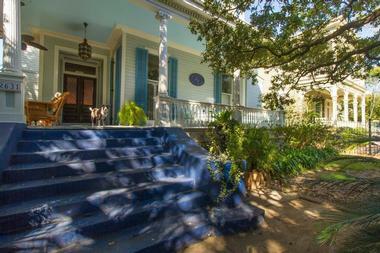 Guests have access to the beautiful Victorian Garden and it is a very short walk to local New Orleans attractions. If you want, you can take a tour to see the original wallpaper and furniture from 1879 along with museum-quality pieces. You can enjoy the daily continental breakfast in your room, featuring bran muffins, cereal, coffee, tea, juice, milk and fresh croissants. Avenue Inn Bed and Breakfast gives guests the opportunity to stay in the former Picard Family Home, which was built in 1891 in the Queen Anne style. The inn seamlessly combines the charm of the turn-of-the-century with modern amenities like voice mail, business center services and wireless Internet. 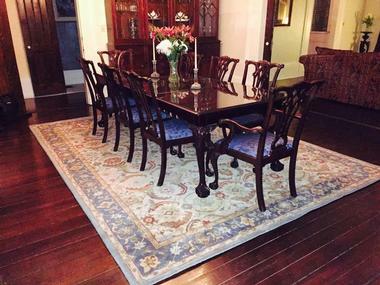 Throughout the building, you will find period furnishings, hardwood floors and original high ceilings. The rooms all have hair dryers, irons, private baths, wireless Internet and cable TV. Guests can choose from a room with a single queen, two queen beds or a single king bed. There are regular rooms, deluxe rooms and suites with sitting areas. Guests can enjoy free parking off the street. Families are welcome as long as the children are at least six years old. The complimentary continental breakfast can be served on the inn’s Creole-style veranda or in the dining room. There is also a snack tower available all day every day, featuring bottled water, preserved and fresh fruit, treats and other snacks. There are even breakfast options available for those with gluten-free or low-carb diets or those who are lactose intolerant. 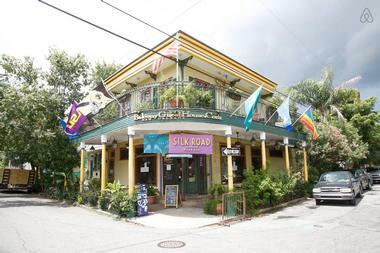 The family-owned Balcony Guest House is a short walk from Frenchman Street and the French Quarter. There are two suites and four deluxe rooms to choose from. Those looking for romance should consider the Honeymoon Suite with its full bathroom, Jacuzzi, appliances and kitchenette. All guest rooms have armoires, private bathrooms, individual air conditioning, hardwood floors, ceiling fans, mini fridges, microwaves, radios with alarm clocks and cable televisions. Some rooms also have direct access to the balcony where you can relax and people watch. When guests arrive, they receive a welcome cocktail. The morning begins with a southern breakfast featuring scrambled eggs, biscuits with sausage gravy, cheese grits, bacon, hash browns, fruit, juice and coffee. Any other time of the day, you can enjoy a meal at the Silk Road Restaurant, the affiliated restaurant which is right downstairs. 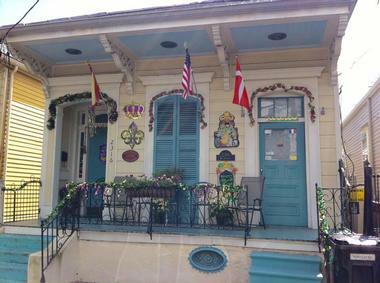 Maison de Macarty is a short walk from local attractions thanks to its location in the Bywater National Historic District. The building dates back to the 1860s and is on the National Register of Historic Places. All rooms have ceiling fans, room-zoned cooling and heating controls, natural earth-friendly toiletries, goose down comforters, European feather mattresses, white noise machines and flat screen TVs. Guests have access to the on-site mineral water swimming pool 24 hours a day. 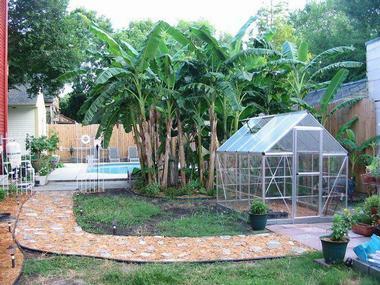 There is also a sun deck, a Cabana Bar and beautiful Crepe Myrtle trees in the private courtyard. There is also free off-street parking and free wireless Internet across the property. Pets are welcome in the cottages and there are two dogs that live on-site. The day begins with a full service breakfast in the main dining room and many food allergies can be accommodated with notice. Right on the historic St. Charles Avenue, Hubbard Mansion Bed and Breakfast gives guests easy access to local attractions. The Main House has five suites and there are also two executive apartments ideal for longer stays. There is wireless Internet in the bed and breakfast and all rooms have televisions featuring premium cable channels with VHS and DVD players available. You can choose a room with a queen, king or double bed while the apartments have two bedrooms, a living room, a fully equipped kitchen, a dining room and a washer and dryer. The innkeepers can suggest a nearby spa for a relaxing treatment. The complimentary continental breakfast includes assorted teas, southern roasted coffee, juice, croissants, muffins, bread, pastries, bagels, yogurt and fresh fruit. Sully Mansion gives couples a romantic getaway in the New Orleans Garden District with plenty of live oaks, famous architecture and lush gardens in the area. Guest rooms have en suite baths with quality toiletries and a hairdryer, premium cable stations, wireless Internet, air conditioning, clock radios, writing desks, irons with ironing boards and fine linens. There are a total of nine rooms and suites to choose from. 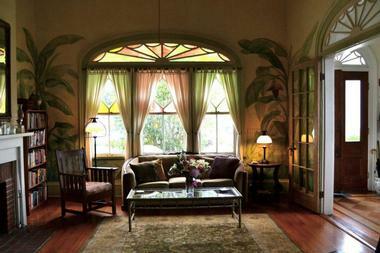 The mansion features a wraparound porch as well as a tropical courtyard for guests to enjoy. In the morning, there is tea and coffee in the dining room, in the second-floor foyer or at your doorstep. There is also an honor bar featuring soft drinks, beer and wine plus a small fridge and ice maker for guests to use. Southern Comfort Bed and Breakfast is in a historic 1910 cottage. There are three guestrooms, each of which is luxurious and perfect for romance or relaxation. The rooms have antique pieces along with period reproductions as well as free wireless Internet, hair dryers, flat screen TVs, air conditioning, ceiling fans and Sonoma bath amenities. The pet-friendly bed and breakfast includes relaxing areas like the garden or patio, perfect for reading or just enjoying the outdoors. Guests also have access to irons with ironing boards, a common refrigerator, an honor bar and the option of getting a day pass for the neighborhood gym which includes yoga and pilates. The innkeepers provide personalized concierge service and there is free parking. The gourmet breakfast is three courses featuring local chicory coffee and classic dishes like baked eggs, waffles and bacon. Special diets can be accommodated. The building for Dauphine House Bed and Breakfast dates back to 1860 and the inn combines the charm and styling of the original building such as hardwood floors with modern amenities. Every room has its own private bath along with a queen bed, wireless Internet, a microwave, a small refrigerator, cable TV, a coffeemaker and a phone. 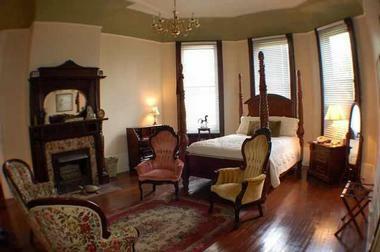 The rooms may also have bath tubs and antique armoires. Guests can access laundry facilities and take advantage of the nearby Downtown Fitness Center. Guests can relax on the patio and read a book or talk to Karen, who lives on-site and can provide recommendations for attractions and restaurants. Breakfast is delivered to each room in the morning and includes chicory coffee, juice, muffins and fresh fruit. The antebellum home that hosts Marigny Manor House dates back to 1848 and is on the National Register of Historic Places. 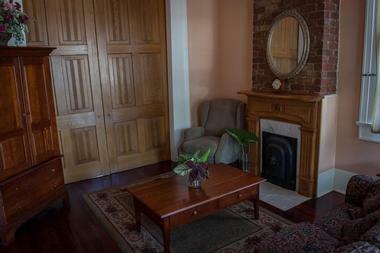 The restored building has four very large rooms with private bathrooms and free wireless Internet. Every guest room has its own seating area, fine cotton sheets, European Matelasse cotton coverlets, down blankets, individual air conditioner, private baths with tubs and showers, fine toiletries, hair dryers, irons with ironing boards, coffee makers and large LCD TVs with DVD players. The 12-foot ceilings, crystal chandeliers, large windows and period antiques help create a relaxing and romantic environment. This bed and breakfast is only for adults and there is a dog as well as two cats living on the property. The staff can also provide concierge services and recommendations for activities, tours, restaurants and more. 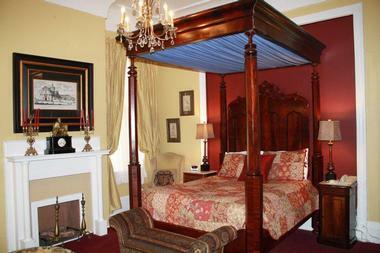 The Chimes Bed and Breakfast has been in business since 1986 and is family owned. 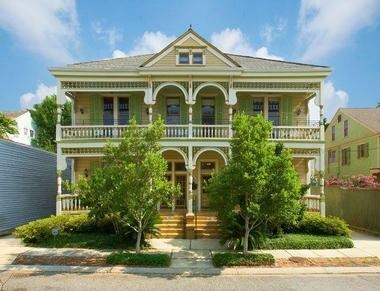 It is right in the Garden District/Uptown neighborhood with easy access to nearby attractions. Each of the five guest rooms has its own unique style and private entrance. There is wireless Internet and free parking at the bed and breakfast as well. Other room amenities include irons and ironing boards, ceiling fans, hair dryers, flat screen TVs featuring cable, air conditioning and heating, walk-in showers and coffee makers. Some rooms feature sleeping for up to four people, multiple TVs, pebbled stone showers, original fireplaces, heart-pine floors, day beds, dressing rooms, high ceilings, four-poster beds and bath tubs. Guests can access the full size refrigerator in the courtyard for storing leftovers and there is bottled water available. Breakfast is included with your stay and the inn can accommodate special diets. 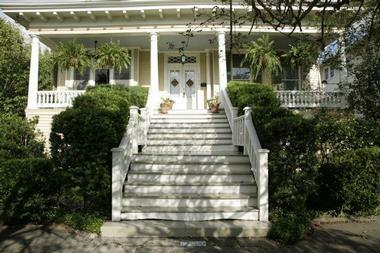 Park View Guest House gets its name from its gorgeous views of Audubon Park. The building is part of the National Register of Historic Landmarks and was built in 1884. It has been restored and turned into a beautiful guest house with a convenient location and modern conveniences. 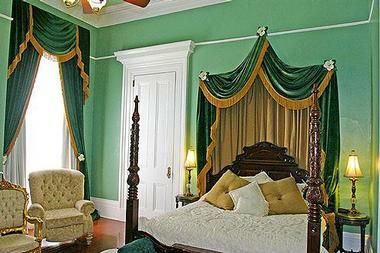 Some rooms have access to balconies or antique plantation beds dating back to the mid-1800s. All 21 rooms have quality linens and soft towels along with cable television, telephones and private baths. There is wireless Internet throughout the building. There are several small sitting areas throughout the inn where guests can relax. A continental breakfast is available every morning in the Audubon Dining Room. The afternoon includes complimentary sweets, wine and soft drinks. Families are welcome provided the children are well behaved. The Elysian Fields Inn is in the French Quarter and Faubourg Marigny and this boutique hotel has 14-foot ceilings and mahogany floors. The rooms all have luxury Egyptian cotton bedding, Aveda bath products including bath salts, fluffy towels, televisions and free wireless Internet. There are nine rooms and the inn can accommodate well-behaved pets with prior notice. Rooms have queen or king beds and some have queen beds plus sofa beds. The day begins with bottomless Cajun coffee, fresh juice and homemade breakfast. 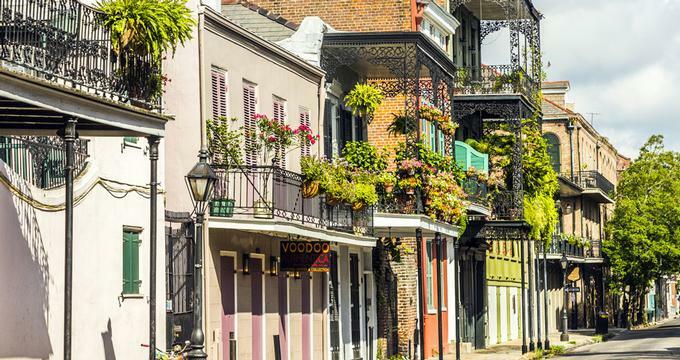 Guests only have to walk a block to reach Frenchmen Street and five to get to the French Quarter, meaning that you don’t need a car to get around. There is, however, free parking at the inn for those who need it. The 1841 Greek revival building that is home to Fairchild House became a bed and breakfast in 1991 along with two adjoining homes. All rooms have private baths and relaxed Victorian décor. Guests can choose from a room with a double bed, a queen bed or a king bed. The One Bedroom Suite features a king bed along with a balcony and a small parlor. There are also deluxe rooms with refrigerators, tubs and 12-foot ceilings. Every guest room has a cable TV. Guests can enjoy a relaxing afternoon in the garden or courtyard. In the morning, there is a Continental Plus breakfast featuring cold and hot cereal, tea, coffee, assorted breads and seasonal fruit. There are multiple shops and attractions within walking distance and the streetcar is also nearby. 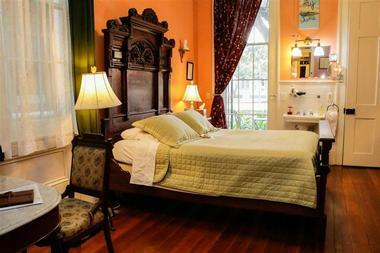 La Belle Esplanade is a boutique inn in a convenient location in New Orleans. 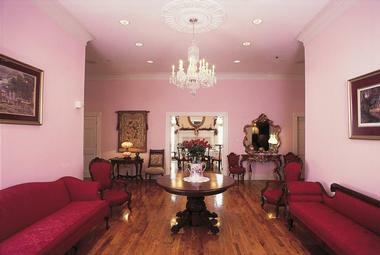 The suites are designed to immerse guests and give them the complete New Orleans experience. Each suite has a unique color scheme and there are five to choose from. Just some of the possible amenities in your suite include a queen bed, carved wardrobe, marble top tables, private porch or balcony, long balcony and a European-style bath featuring an antique claw foot tub. You can choose a room with a view of Gayarre Park, the Superdome or other picturesque New Orleans sights. The day begins with a breakfast made using local ingredients that are fresh in season. You won’t find any cooked eggs or similar items. Instead, the inn serves a range of items from the local pastry shops, artisans, farmer’s markets and more. The breakfast changes daily based on what’s available but you can expect things like fresh pastries, fresh bread, cheese, meat, fruit, fresh jelly, coffee with chicory and more. The inn can also accommodate dietary restrictions, but prefers advanced warning. Chez Palmiers is just a few blocks from the French Quarter in Faubourg Marigny, making it a short walk to nearby attractions, bars and restaurants. 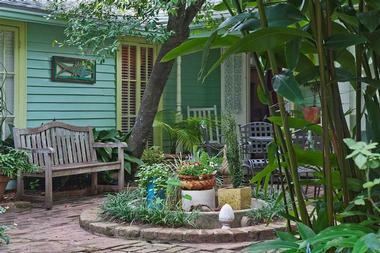 The traditional Creole Cottage was built during the late 1800s and renovated during the mid-1990s, combining antiques with newer items, personal photographs, artwork and more. Every room has a queen bed, private bath, air conditioning and TV. Each of the three rooms is unique, with some featuring a sitting area, a closet, an antique secretary or a conversation area. Guests can enjoy sun or shade on the deck or visit the kitchen and talk to the innkeepers. The continental breakfast includes fruit, yogurt, cereal, bread, coffee, and juice and there is access to an espresso machine. There is free wireless Internet as well. Maison Perrier is in the Garden District/Uptown portion of New Orleans and features delicate chandeliers, antiques and ornamental woodwork. It is great for romantic weekends, weddings, honeymoons or relaxing vacations. There are nine guestrooms in total, each with its own unique décor. Some have larger open spaces, four poster or sleigh beds, armoires, balconies featuring private seating areas, floor-to-ceiling windows, day beds, an extra flat-screen TV, a full kitchen and whirlpool tubs. Rooms have either queen or king sized beds. When you have some down time, you can relax in the front parlor with its chairs and sofa or rest on the comfortable sofas in the den. The courtyard has shady areas and outdoor seating. Guests can enjoy breakfast in the dining room or courtyard. 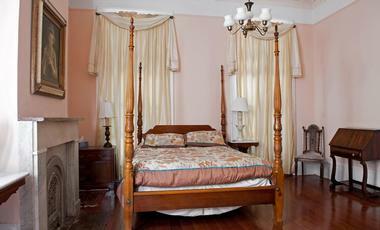 Sweet Olive Bed and Breakfast provides a relaxing and romantic getaway in a 1850s Creole home. Each guest room has its own private bath and has been hand-painted by local artists. Other room amenities include ceiling fans, individual climate control, free wireless Internet, armoires, irons, hair dryers, toiletries, alarm clocks and bottled water. Guests can relax in the double parlor, the veranda, the garden or the courtyard. The double parlor features an extensive library while the courtyard has a hammock, comfortable seating and a table in the shade. There is a complimentary breakfast in the morning. The Continental Plus breakfast includes fresh-baked goods such as bread pudding muffins, cherry pecan scones, eggs in baskets, brie omelets, goat cheese frittatas and spinach quiches. The inn uses local organic ingredients when possible and breakfast always has instant grits and oatmeal, fresh fruit, juice, tea, milk, coffee, yogurt and cereal. There is also an honor bar for convenience. Terrell House is right in the center of old New Orleans on Magazine Street. Every room has an iron and ironing board, cable TV, private bath, wireless Internet, a hairdryer, a makeup mirror, robes, high thread count linens, bottled water, soft drinks and coffee makers. There are two rooms and two suites in the Main House, four rooms in the Carriage House and the Creole House for extended stays. Possible amenities include a walk-in shower, floor-to-ceiling windows, oriental rugs, private galleries, sitting areas, a tub, a closet and an armoire. All rooms have individual air conditioning along with central heat. There are period antiques from both America and Europe throughout the house. Terrell House has a courtyard for guests to enjoy, plus double parlors and a den with 14-foot ceilings. Guests receive a full breakfast in the morning and there is daily housekeeping.